Established in 1970, we are currently 4 generations of Family Cleaning Specialists. We are known in the upper Midwest for our family cleaning experts & expertise. We have always been on the cutting edge of the latest technology and cleaning available. Nationally recognized by the cleaning industry for our innovations in the industry and education to help other cleaners. 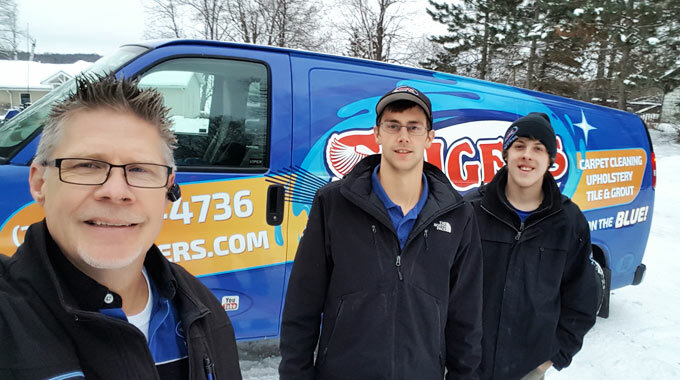 Mark Saiger has been around the cleaning and restoration industry most of his life. He is a “Third Generation” cleaning specialist and is working to educate their 4th and 5th generation of cleaners. He has also been a Music educator and professional musician, as well as a great passion for motorized racing in his past. In the cleaning industry, he has been a guest speaker and presenter at a number of cleaning conferences Nationwide. Even though from a small town, the Saiger name is recognized for passion and excellence in the cleaning industry. Mark shows his passion everyday at all our clients homes and enjoys everyday working with his clients. 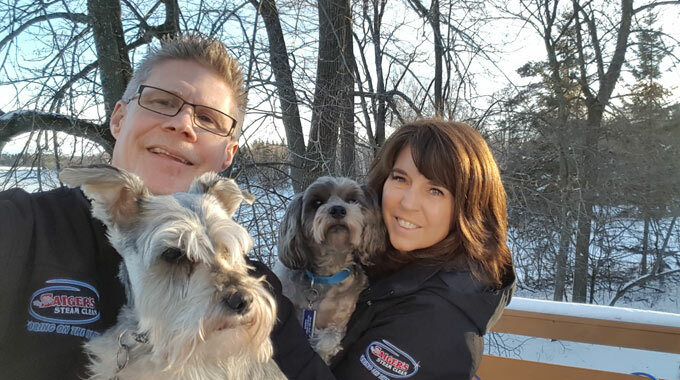 Shari Saiger has been a busy mother of 3 girls and now grandma to the grandchildren. She has been in the banking industry and currently runs the office and our "Family Daycare". 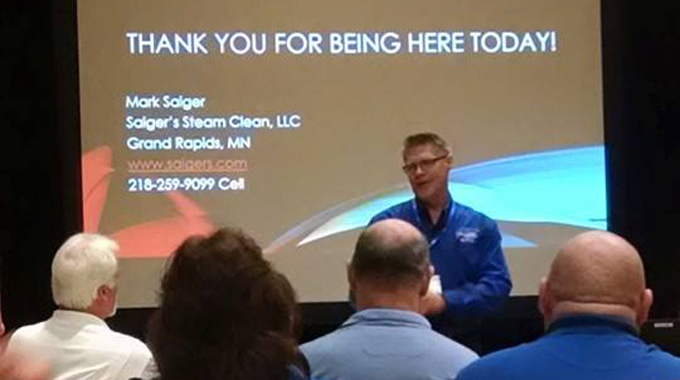 Shari has also presented at our National Cleaning convention and helps to keep Saiger's Steam Clean running smoothly everyday. She also still goes out into the field and helps with cleaning, so when you call and ask a question, she is going to have the knowledge to be able to answer those technical questions. Aron Jewett, our Son in Law, and an incredibly dedicated cleaning specialist! Aron is one of the most likeable and "dedicated to service" individuals you will meet. He has incredible cleaning skills and knowledge of the cleaning industry. His main goal in life is to please everyone, and he is one of the hardest working persons you will ever meet. 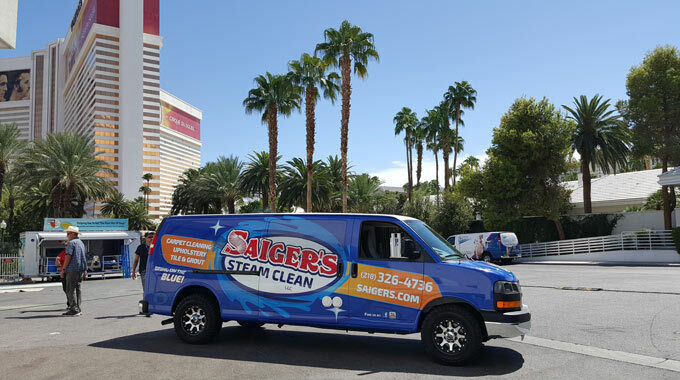 Aron puts in many extra hours to make Saiger's Steam Clean a shining star, and he does the same at every clients home or business. He does not fear hard work and will do everything to make sure your cleaning experience is absolutely the best ever! Austin Webber comes to Saiger's having worked in the restaurant customer service field. During high school, Austin was a busy person with the choir program at Grand Rapids High School. He was in the jazz choir and Madrigals and was the King for the Madrigals. His after hour activities include music festivals, time on the Long Board and his Mini Cooper. He has earned the nickname at Saiger's as "Happy Feet" as he is always happy and his feet never quit moving. Austin has been a great addition to Saiger's these past years and is an awesome cleaner. You will enjoy having Austin cleaning for you. Saiger’s appearance at the Experience is a perfect example of how the help of others creates success for everyone involved. At first, he had planned on only showing off their new, custom-made carpet cleaning rig at the convention, Saiger explained. However, the more he thought about it and the more he heard back from others commenting on online cleaning message boards, he thought it would be a great idea to complete the entire van install right there at the convention. “Sure, I could have had the van wrapped somewhere else and had it shipped to the convention but why do that when I can support other local businesses,” Saiger asked. Saiger was excited about completing the van at the convention and said the cleaning firm created quite a buzz. He explained when he walked around on the convention floor he thought he heard his friends calling for him or that he was being paged overhead. Instead, it was other convention attendees talking about his company. Saiger’s presentation at the convention, “Still Doing It Different!” shared some key elements to the growing success, but also focused on Grand Rapids. “It’s important to know the community’s needs,” he said. 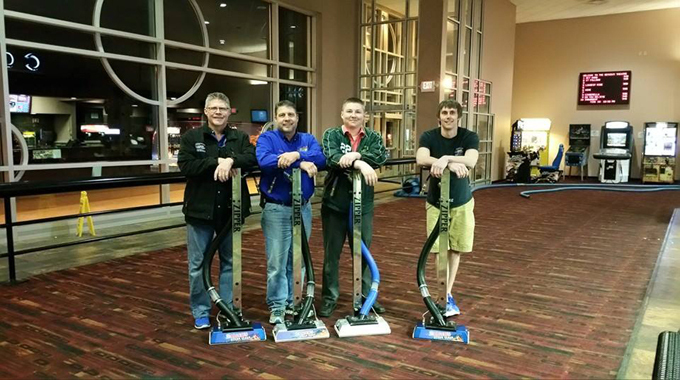 At the Commercial Carpet Cleaning Symposium, held after the convention, Saiger and Aron Jewett, Saiger’s son-in-law coworker and “an incredibly dedicated cleaning specialist,” showed off the new van and demonstrated a number of different pieces of equipment they use. Saiger posted one of the demonstrations, which shows Aron cleaning a surface smeared with dirt and covered in oil, on the YouTube channel. Saiger said they have also paired with Harvard Chemical in Atlanta to release a cleaning formula, “Saiger’s Special Sauce” which will be available for purchase.